Indonesia Expat made an interview with Allan F Tabien, talking about Raffles Christian School and his thoughts on education. Hi Allan, it’s nice to have a chat with you. Please tell us about yourself and where you are from. My name is Allan Tabien and I specialise in Mathematics. I have been with RCS since January 2006 at our main campus in Pondok Indah, Jakarta Selatan. In July 2014 I was given an opportunity to be transferred to our campus at Kelapa Gading Jakarta Utara to start the As/A Level program for Grades 11 and 12. How long have you been in Indonesia and what are your thoughts about this country? I have been living in Indonesia for 14 years and Indonesia has become my second home. The best things about Indonesia are the people and the food. I love the warmth and sincerity of the locals I have worked with in this organisation and I have treated some of them as my second family here. Regarding food, Indonesia is a calypso to my taste buds. I love nasi goreng, mie goreng, sate, nasi capcay and bak kut teh Indonesia style, Indomie and many more. And before I forget, tahu crispy is at the top of my list. What are your plans for this school? RCS – Kelapa Gading campus has been known for our academic excellence in the region. Moving forward, it is our mission to provide a well-rounded education to our students, which is why we are now strengthening our holistic approach to education, focusing more on character development, co-curricular activities such as sport, performing arts and visual arts, learning beyond the classroom, and community service. This is in line with the vision of the organisation which is to be a world class, futuristic and a Christian learning community that nurtures Rafflesians to be active, lifelong learners and influential leaders of sterling character. Please tell us something about Raffles Christian School. The Raffles Christian Group of Schools (RCGS) comprises a group of premier schools that provides a world class, futuristic and Christian learning environment nurturing Rafflesians to become active, lifelong learners and influential leaders of sterling character. The educational foundations, Yayasan Pendidikan Kristen Ora et Labora and Yayasan Pendidikan Sekolah Bhinneka of which Raffles Christian Group of Schools is a part has a proud tradition of nurturing outstanding students. The first campus of the Raffles Group of Schools – Raffles International Christian School, Pondok Indah – was started in July 2005 and founded by the late Mr. William Soeryadjaya (a renowned entrepreneur in Indonesia and founder of the Astra Group) and Mr. Radius Prawiro (the former Minister of Finance of the Republic of Indonesia), in consultation with the Singapore Teachers Union. In October 2010, Raffles International Christian School acquired the PSB Singapore Schools in Kebon Jeruk and Kelapa Gading to form the Raffles International Group of Schools. The PSB Singapore Schools have a rich and extensive heritage which can be traced back to 1964 when they were established as the former Singapore Productivity and Standards Board by the Singapore Government. The educational foundation, Yayasan Pendidikan Sekolah Bhinneka of which Raffles-PSB Singapore School was part, was integrated into the Raffles International Group of Schools. In January 2015, Raffles International Christian School was renamed as Raffles Christian School, in accordance with government regulations. The Raffles Group of Schools further acquired INTI College Indonesia in July 2015 and rebranded the campus into Raffles College. Today the Raffles Group of Schools has a total of five campuses located throughout the city of Jakarta. Raffles Christian School is a Certified Cambridge Centre for International Examinations (CIE), offering an international curriculum aligned to the Cambridge Primary Checkpoint, Cambridge Secondary Checkpoint, IGCSE and International AS and A Level examinations. Raffles also offers the Global Assessment Certificate (GAC), one of the world’s most widely recognised university preparation programs, which guarantees entry into a worldwide range of universities. Anchored by a highly dedicated, passionate and caring teaching faculty equipped with sound pedagogical practices, Raffles provides a rich and challenging learning environment that ignites our students’ passion for learning and inquiry, building a strong academic foundation for our students, and opening the doors to many opportunities for their future success. We see the breadth and depth of a child’s achievements not only in academia but through the multitude of other interests that he or she pursues. The wide range of CCAs and programs that we offer aims to provide our students with opportunities to develop lifelong interests, broaden their experience and prepare them to face the challenges of the 21st century. We value and understand our students’ unique personalities, and seek to develop their character through our pastoral system so that they are socially and emotionally equipped to embrace the challenges awaiting them after high school. We continue to fine-tune our programs so that our students are availed of the best learning opportunities that extend beyond the classroom. What brings you here since you worked in the Philippines? Back in December 2005, I received an unexpected phone call from a teacher of Raffles Christian School who was my former colleague at De La Salle University College of St Benilde. She persuaded me to work at Raffles for six months as a substitute teacher for her because she was leaving for Dubai to get married. Then, I took six months leave from the university and decided to continue serving Raffles. I fell in love with the students, and the school gave me a career path that made me stay for good. This is one decision that I have never regretted. 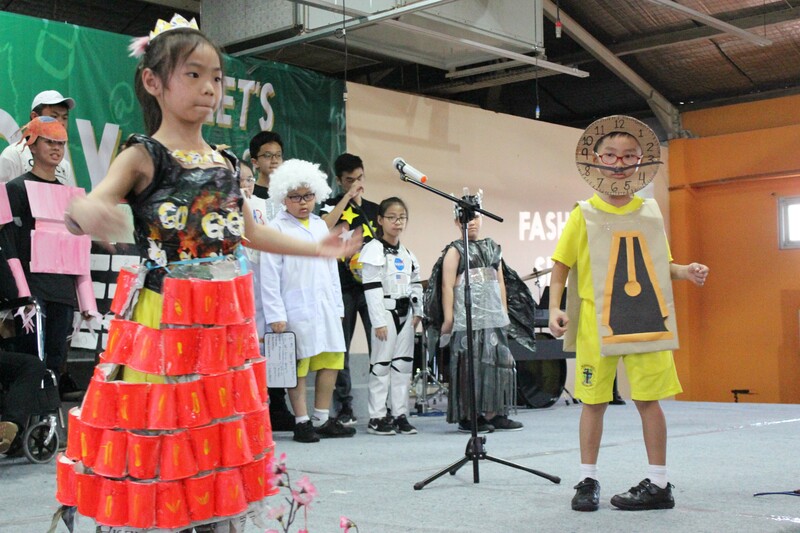 How is Raffles Christian School adapting its offering to the needs of modern students? At Raffles Christian School our teachers are well equipped and aware of the emerging trends and issues in education. We are ready for the challenges and embrace the paradigm shift from the traditional way we deliver our lessons to more effective and efficient approaches to teaching and learning using ICT. We would like our students to take more ownership of their learning by implementing inquiry-based learning (IBL), self-directed learning (SDL) and collaborative learning (CoL), where teachers act as facilitators and design the teaching and learning process in a way that is more engaging and student-centered. How do you see Raffles Christian School compared to other international schools in Jakarta? Anchored by a highly dedicated, passionate and caring teaching faculty equipped with sound pedagogical practices, Raffles provides a rich and challenging learning environment that ignites our students’ passion for learning and inquiry. We build a strong academic foundation for our students, catering to their diverse interests and opening the doors to many opportunities for their future success. Raffles has a proven track record and fine tradition of producing top students in Indonesia for the Cambridge Examinations. The school has garnered the Cambridge Outstanding Learner Awards initiated by Cambridge UK and awarded to the top student in Indonesia (attaining the highest marks) for each subject every year since 2007 in both the International General Certificate in Secondary Excellence (IGCSE) and Cambridge International A Levels. Rafflesians have consistently and strongly outperformed global benchmarks for the subjects taken in the past eight years. One in two students scored at least five distinctions in the IGCSE examinations and more than 3 A’s in the Cambridge International A levels. The school has also produced more than 30 scholars who have been offered scholarships to study in top schools in Singapore. RCS students have also continued their studies in many top universities both locally and overseas. These excellent results have allowed Raffles alumni to secure places in the top 100 universities around the world and go on to establish their careers in reputable companies. At Raffles we focus on developing the whole child. We see the breadth and depth of their achievements not only in academia but through the multitudes of other interests that they pursue. The wide range of CCAs and programs that we offer aims to provide our students with opportunities to develop lifelong interests and broaden their experiences. We value and understand our students’ unique personalities and seek to develop their character through our pastoral system so that they are socially and emotionally competent to embrace the challenges awaiting them after high school. We continue to fine-tune our programs so that our students are availed of the best learning opportunities that extend beyond the classroom. Raffles College offers high quality education from established universities in Australia, the US, UK, Singapore, Malaysia and New Zealand. Such collaborations and partnerships can only serve to benefit students who choose such pathways for their future academic career. Our affiliation with Raffles College allows a wide variety of study options such as overseas degree transfer programs and foreign degree completion in Indonesia. Students can choose to spend more time in Indonesia or a greater amount of time overseas. What is your strategy to make your teachers passionate as educators? As part of the school management committee, I devote myself to inspiring our teachers to be passionate in everything that they do as educators, especially in bringing out the best in every student we encounter. I help the teachers and guide them to have that burning desire to always strive for excellence in the teaching and learning process, and in their involvement in co-curricular and extracurricular activities. This can be achieved through the initiatives of the Leadership and Talent Development Unit (LTDU) within the Raffles Group of Schools which ensures that our teachers undergo adequate and high quality professional development such as the Raffles Teachers Craft mentorship program and the Cambridge International Certificate in Teaching and Learning (CICTL). Teachers are also given opportunities to be involved in framework development which anchors our core school programs such as the Character Development (CD) Framework, Learning Using Information and Communication Technology (LICT) Framework, Learning Beyond the Classroom (LBC) Framework, Aesthetics (Aes) Framework and the Sport and Wellness (S&W) Framework. The post Business Profile: Allan F Tabien, Dean of Raffles Christian School – Kelapa Gading appeared first on Indonesia Expat.